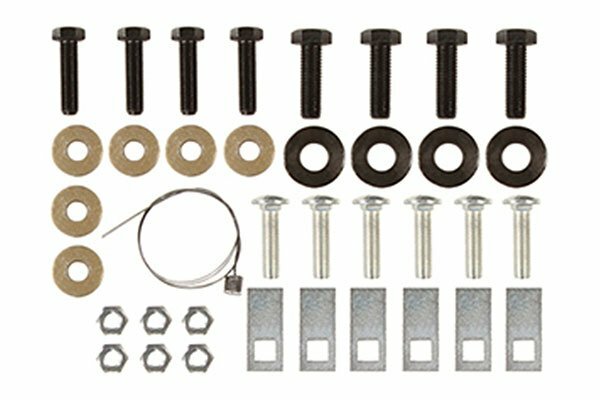 Draw-Tite Front Mount Hitches-FREE SHIPPING-Authorized Dealer! 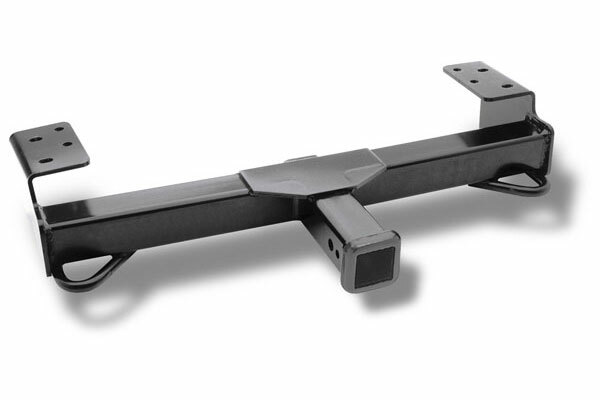 Ramp up your front-end’s towing muscle by equipping your truck, van or SUV with a Draw-Tite Front Mount Receiver Hitch. Whether you’re looking to hook up a snow plow during the frigid winter months or a winch get to out of tight spots while off-roading, a Draw-Tite Front Receiver Hitch provides the perfect solution. With this durable hitch, you now have a sturdy, safe and secure mounting point for a variety of accessories and harnessing your vehicle’s full power. The black powder coat finish fights off rust, corrosion and oxidation, so you can bet on years of dependable use and head-turning aesthetics. The front mount receiver hitch boasts sturdy, steel-welded construction for maximum strength, and each hitch is road-tested for extreme durability. Plus, these hitches can handle up to 9,000 lbs of winch line pull, so no job’s too tough. Custom-designed with your make and model in mind, the Draw-Tite Front Receiver Hitch ensures a perfect fit and easy installation. It comes pre-drilled to accept a locking J-Pin (not included with hitch), so you can achieve ultimate security and reduced sway. Draw-Tite backs each Front Mount Receiver Hitch with a Lifetime Warranty. Perfect fit and very easy to install, it even looks good. I read in some reviews with other manufacturers you had to redrill mounting holes. Not this one. Bolted right on fits great looks great. From start to finish it took me about 25 mins. I use it for a bike rack. We tow a travel trailer and I like having the bikes in the front of the truck. When we get to our destination we in hitch the trailer and can take off in the truck with the bikes. Having the bikes on the front keeps the truck bed free for other gear. I really like this product and can't wait to hook up my winch to it. It was easy to install and I did it by myself in about 30 minutes. Fit perfect on my 2017 f-350 king ranch. I will use it to install a receiver mounted winch, a step to make oil changes and fuel filter changes easier. Front ball mount would be a plus at times. It will come in handy and it is built very well and looks great.I installed myself ok, but probably would have been easier with a helper. Thank you. Reference # 765-167-143 © 2000-2019 AutoAnything, Inc.